One of the most-frequently recommended practices of modern Christianity was virtually impossible until 500 years ago. Do you know what I’m talking about? 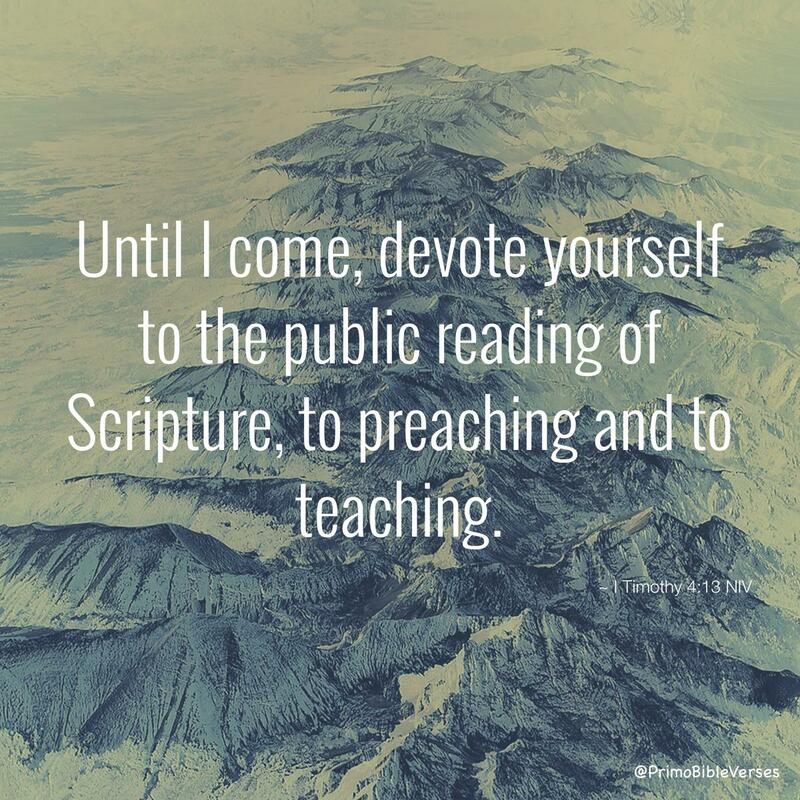 The private reading of scripture. No doubt, for the entire history of Christianity, we have encouraged the public reading of scripture, but the average Christian had neither the education nor the means to afford his own Bible. Even when Gutenberg introduced his revolutionary movable-type printing press that drove the cost of printing down, his Bible cost the equivalent of three year’s wages for an educated man. Did you know that only one of his Bibles was sold to an individual rather than a school, church, or organization? I can’t prove these numbers, but I suspect that that less than 1% of Bible reading in the first 15 centuries of Christian history happened alone or in private. In contrast, I suspect that 95% or more of Bible reading in our century is done privately and individually. It isn’t my goal to discourage you from reading scripture alone. Not at all! What a blessing we have in our access to the Word. Here’s my challenge for you: read like the early Christians did! Don’t only read alone. Read to someone. Read with someone. Be read to by someone. Did you know scripture even commands this? By all means, keep reading your Bible alone, but let’s try doing what our brothers and sisters have done, and read the Bible with a friend. It might just change the world! 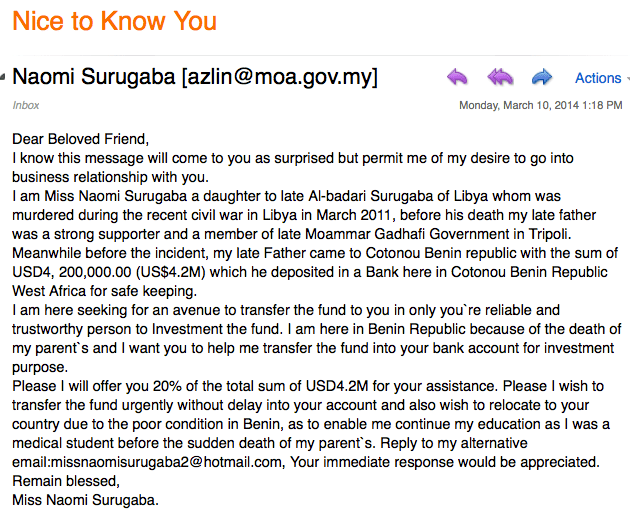 Have you ever gotten an email from a Nigerian prince who needs help getting his money to an account in the United States? If you’ll supply him with your bank account information, he’ll transfer you millions, and you can keep a cut for helping him out? If you haven’t gotten that email, have you ever gotten a phone call from Microsoft explaining that your computer is filled with viruses and that, for a low fee, they can clean it for you right then and there on the phone? But if you wait, the price will go up! Has the IRS ever called to let you know that you owe them back taxes and penalties, and if you don’t pay up immediately, the police are already on their way to your door? If you’ve gotten these messages, I hope you know to hang up the phone as fast as possible. They’re all common scams designed to fleece you out of your money and even your identity. There are so many fraudsters out there, it’s hard to trust anyone. Unfortunately, the devil is a scammer who works in the spiritual realm, too. He is the father of lies (John 8:44). John warned Christians, “Beloved, do not believe every spirit, but teste the spirits to see whether they are from god, for many false prophets have gone out into the world.” Paul told the Thessalonians, “test everything; hold fast what is good.” The Corinthians were told to “weigh what is said” when prophets spoke (1 Corinthians 14:29). Not every phone call or email off your get is legitimate; so it is with the spiritual. Not every sermon is true. Not every preacher is genuine. Not every church is healthy. Not every hunch is divine guidance. We need to be people “who have their powers of discernment trained by constant practice distinguish good from evil” (Hebrews 5:14).